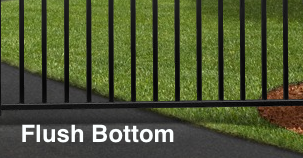 Rich in the tradition of wrought iron fences except without the maintenance, the Bella Terra Resort™ features a staggered pressed point spear top design that meets the B.O.C.A. pool safety code* at 60'' high. The Bella Terra™ can also be adorned with optional circles or butterfly scrolls. 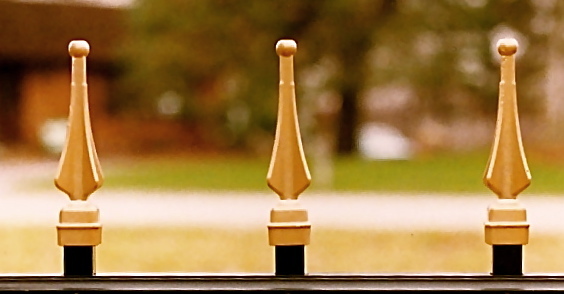 If this beautiful staggered look appeals to you, keep in mind that any spear top design can be ordered with this staggered-height vertical picket configuration!